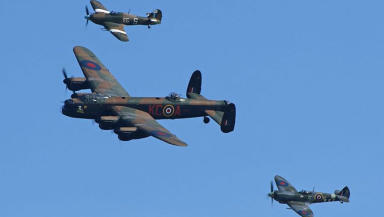 Lancasters, a Spitfire and a Hurricane to star at free public display and static show in Ayrshire. 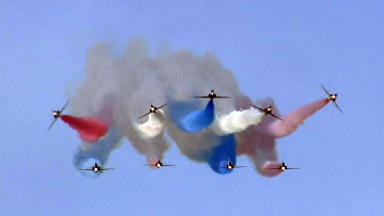 The Scottish Airshow will return to our skies in September after an absence of 22 years. The free airshow will be held on Saturday Septmeber 6 at Ayr's Low Green, with a static display - including two Lancasters, a Spitfire and a Hurricane - held at Glasgow Prestwick AIrport the following day. 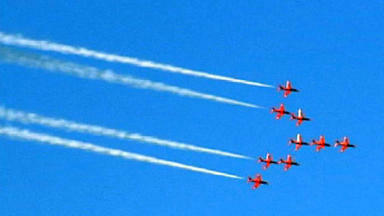 The day before the airshow, Friday September 5, there will also an aviation business conference in the area. The event is the first "Scottish Airshow" to be staged in Ayrshire since 1992. 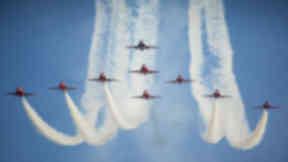 Organiser Danny Anderson of Ayrshire-based Zisys Events hopes the airshow will become one of Ayrshire’s leading events. Mr Anderson said: “The objective is to stage a significant aviation event based in Ayrshire which explores the theme of flight, initially through an airshow and static aircraft display. "It is designed to bring tourism, business, economic and educational benefits to Ayrshire in particular and Scotland in general through our programme." Highlights of the free airshow will include: The Battle of Britain Memorial Flight's Lancaster, Hurricane and Spitfire and a second Lancaster, which will be flown in from Canada; the Blades aerobatic teams piloted by four former Red Arrow pilots; parachutists landing on the Low Green; a helicopter display and a Vulcan bomber. On the Sunday, the public will be able to pay a small fee to see several aircraft in a static display at the airport, where visitors will be able to walk around and see the airplanes up close. 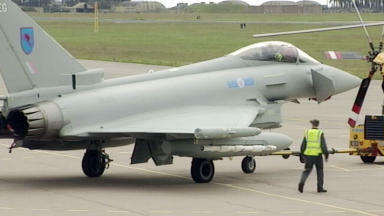 Full details of the events will be released in the coming weeks at the airshow's website.